Tissue-resident macrophages (TRMs) derive from yolk sac and fetal liver progenitors. Bone marrow-derived macrophages (BDMs) arise from hematopoietic stem cell. Tissue macrophages have distinct transcriptional profiles between tissues. Tumor-associated macrophages (TAMs) populate tumors through local proliferation of TRMs or recruitment from BDM. Involvement of TAMs is tumor tissue specific, where TRM or BDM differentially promotes tumorigenesis depending on the tissue type. Targeting TAMs for anticancer therapy has shown signs of preclinical and clinical success using either blunt targeting strategies (CSF-1R inhibitors) or more recently developed novel strategies such as PI3Kγ and Class IIa HDAC inhibitors. Macrophages are present in all vertebrate tissues and have emerged as multifarious cells with complex roles in development, tissue homeostasis, and disease. Macrophages are a major constituent of the tumor microenvironment, where they either promote or inhibit tumorigenesis and metastasis depending on their state. Successful preclinical strategies to target macrophages for anticancer therapy are now being evaluated in the clinic and provide proof of concept that targeting macrophages may enhance current therapies; however, clinical success has been limited. 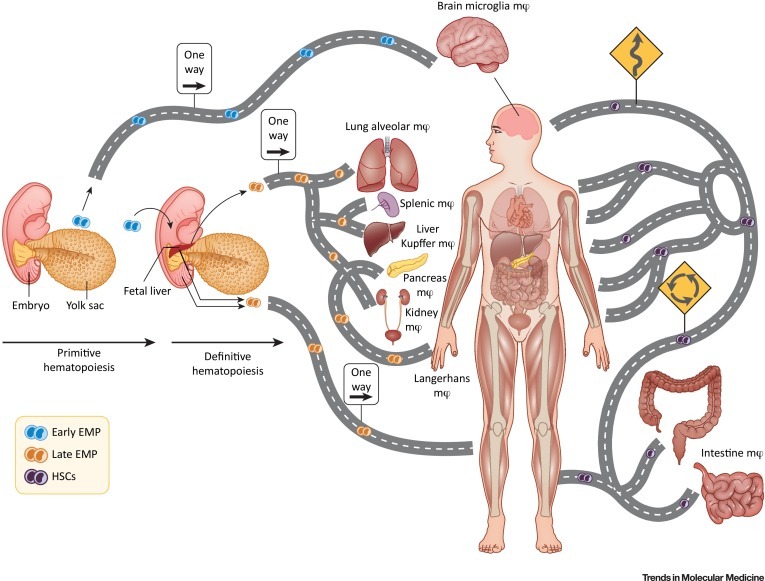 This review discusses the promise of targeting macrophages for anticancer therapy, yet highlights how much is unknown regarding their ontogeny, regulation, and tissue-specific diversity. Further work might identify subsets of macrophages within different tissues, which could reveal novel therapeutic opportunities for anticancer therapy.